Epicenter K, which has been actively developing agricultural business in the last two years, in 2019 will build five new elevators with a total value of about EUR50 million. According to the press service of Epicenter, the company signed a contract for the construction of elevators with the Polish manufacturer of complex granaries Feerum S.A, which will provide a “supplier credit” to Epicenter for the implementation of the project. According to the Feerum website, the terms of the loan provide for an advance payment of 15%, the remaining 85% are payable within five years. The total capacity of the new elevators will be 725,000 tonnes. The complexes will be located in Vinnytsia, Kyiv and Khmelnytsky regions. Commissioning is scheduled for September 2019. 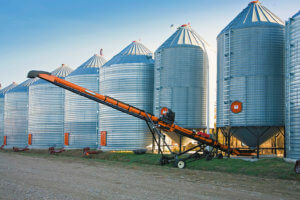 According to the company, the new elevators will allow Epicenter K to become independent of the market shortage of grain storage capacities and provide grain storage services for other agricultural producers. Epicenter K cultivates over 111,000 hectares in Vinnytsia, Khmelnytsky, Ternopil, Cherkasy, and Kyiv regions. The group also includes 20 livestock farms. Epicenter K was created in 2003. 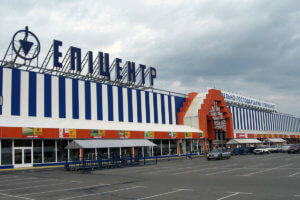 The first construction hypermarket of the company was opened in Kyiv in December of the same year. 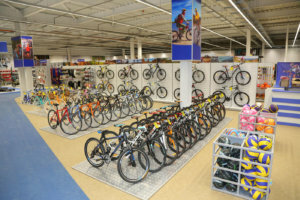 Epicenter K LLC (Kyiv), developing a network of eponymous DIY construction materials hypermarkets in Ukraine, as well as being the exclusive representative of the international sports brand Intersport, has opened the first multi-brand outlet shop Intersport in Ukraine. According to the press service of the company, the store is located in Berkovetska Street in Kyiv, its area is 2,800 square meters. Thus, the retailer expanded the network in Ukraine to 23 outlets. “Brand clothes and Intersport’s own trademarks will be presented in the Intersport outlet in Berkovetska Street,” Director of Intersport Ukraine Yulia Maksymenko said. As reported, in 2015 Epicenter K signed a partnership agreement with Swiss-based IIC-Intersport International Corporation GMBH, which is one of the leaders in the world trade in sports goods. The Intersport group of companies was established in 1968. The network has more than 5,500 stores in 44 countries of the world. 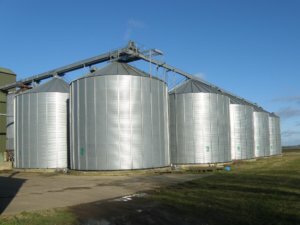 The Epicenter K Group, which was developing agricultural business in the past two years, plans to boost silo capacities to over 600,000 tonnes in 2018, Head of the Agricultural Division of the group Vitaliy Stavniychuk has said. “At present, we have five silo complexes that can store 284,000 tonnes of grain. This year we are building and boosting the silo capacity. We will boost them to over 600,000 tonnes,” he said in an interview with the Business publication. 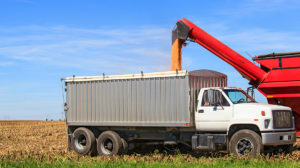 Stavniychuk said that the group plans to use silos in two stages – early crops (winter wheat and winter rapeseeds) and for the second stage is maize and sunflower. Another strategic direction for the group is development of livestock breeding, Stavniychuk said. “The top priority task is to increase numbers of high-quality milking cows. We plan to build farms with modern fodder and breeding system,” he said. The group seeks to slightly increase its land bank in 2018, but the main goal is not the area, but the highest production efficiency. The group plans to strengthen positions of agricultural business in the medium term outlook. The Epicenter K Group, which has been actively developing agricultural business in the past two years, plans to build a silo with a capacity of 100,000 tonnes in 2018 on the territory of an oil depot acquired from Galnaftogaz Concern, the press service of the group has reported. According to a posting on the website of the Antimonopoly Committee of Ukraine, on May 14, 2018 the committee permitted Epicenter K to buy the oil depot belonged to Galnaftogaz Concern (both based in Kyiv). 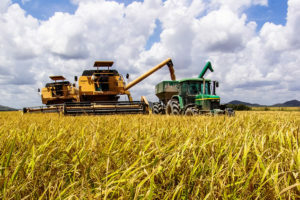 The press service of Epicenter K said that the group since 2015 has started investing in agriculture and in two years it boosted its land bank to 110,000 ha. “In the conditions of the development of the agrarian business, the question arose for us to quickly and substantially increase the capacities of existing ones and build new modern silos. That is why we entered into agreements with PJSC Concern Galnaftogaz on the acquisition of the property complex of the oil depot located at 80, Pryvokzalna Street, Vendychany, Mohyliov-Podilsky district, Vinnytsia region,” the press service said. The owner of the depot complex did not use for more than 10 years, and the concern did not plan to resume its work. At the same time, the issue of trade in oil products by the founders of the Epicenter K is not currently being studied and is not being considered. Epicenter K LLC was established in 2003. Its first construction materials hypermarket was opened in Kyiv in December of the same year.